Davie, Florida: A 2016 Tesla S swerved out of control at approximately 90 mph and crashed into a tree, before catching fire and killing its driver, according to preliminary police and eyewitness reports. 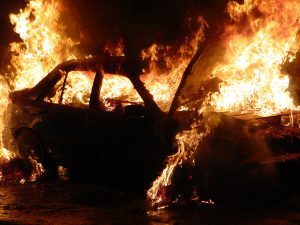 Though the incident is pending an official and thorough investigation, bystanders that tried to rescue the South Florida man from within the burning car, claimed that they were unable to open its doors and that the airbags had not deployed upon impact. This eyewitness testimony will be key in determining whether or not the man’s life could have been saved had the airbags deployed. The S owner’s manual states that the deployment of the airbag upon impact activates the retractable door handles which allow the car doors to be opened. If the investigation reveals that the airbags did not deploy and that the man died as a result, Tesla may be faced with yet another lawsuit and suffer a devastating economic blow. Even though the man was reported to be doing somewhere between 75 and 90 mph in a 55mph zone, the investigation will also center around what caused the car to lose control, ride over the medium, cut across lanes and slam into a palm tree. The Miami Perazzo Law serves car accident claims that result from defective car parts, faulty airbags, or poor vehicle maintenance service by third party service providers. If you, a friend, or relative has suffered personal injury, property damage, loss of wages, or have been stuck with whopping medical bills as a result of another individual’s negligence, Perazzo Law urges you to contact our Miami or North Miami Beach Office ONLINE today for FREE legal advice. Manufacturers, distributors, and/or merchants are bound by law to produce goods that are safe for consumers to purchase and use. These products may range from car to bicycle tires; over the counter beauty creams to prescribed medications; baby toys and car seats. Miami consumers that suffer any sort of personal injury or property damage as a result of using a faulty product or consuming contaminated goods, are eligible to file for compensation claims through Product Liability. However, filing product liability claims can get rather complicated and many times lost if not handled by a personal injury law firm that has a proven track-record and lots of experience dealing with product liability claims in Miami. The attorneys at the Perazzo Law Firm’s North Miami Beach and Miami offices know how to gather all the correct burden of proof with which to win a product liability case for compensation. Miami Law Firm Representing Personal Injury Claims from Accidents Involving Faulty and Counterfeit Airbags. MIAMI: A well-know airbag company, has had to recall its airbags as a result of a manufacturing defect that leads to the airbag exploding and causing serious personal injury or even death. Furthermore, the NHTSA has expressed concern regarding counterfeit airbags installed by car mechanics or replaced by dealerships following an accident in which the airbag activates. On several occasions, insurance providers may be held liable for personal injury claims from faulty airbags as they sometimes recommend a car repair shop for their replacement after an accident causes the airbag to activate. Motorists are encouraged to avoid purchasing airbags online from popular commercial sites.Airbags are designed to save the lives of motorists in the event of an accident. Product recalls sweeping through Florida raise Product Liability concerns. Miami: Over the past couple of weeks, an array of goods ranging from pet products to prescription pills have been pulled from store shelves in an attempt to prevent potential health risks and possible Product Liability claims by consumers. The most recent products to be recalled concern pets and pet owners. 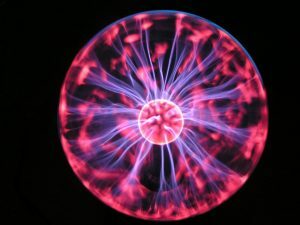 These include an indoor lighting fixture for reptiles such as lizards or snakes and an assorted variety of cat foods, both of which may lead to personal injury, property damage or loss. A local pet shop has recalled 23,000 All Living Things light strips commonly used within reptilian confinement areas based on concerns that the item in question may be prone to overheating and may result in a fire, which may not only fry your lizard, but burn down your home. The U.S. Consumer Product Safety Commission warns that exotic pet owners housing lizards, snakes, or tarantulas, should be cautious and return the said lighting strips ASAP to prevent potential fire hazards which can lead to personal injury and property damage. The other pet product being recalled concerns felines and six varieties of Rad Cat Raw Diet food, which according to the manufacturer may contain listeria, bacteria that can do fatal damage to your pussycat if not treated immediately. Animals are not alone when it comes to the recalls of consumer goods sweeping through Miami. Human health products are also vanishing from store shelves, mainly in drugstore outlets such as: CVC, Walgreens, Rite-Aid, and others. Products ranging from Nasal Sprays to baby oral gels are being taken off store shelves by the Product Quest manufacturing company amid potential health risks to consumers who have purchased the products under the local house brands. The FDA reports that frequent use of the baby oral gel containing a pathogen, may represent a life-threatening infection among toddlers. Another drugstore item being recalled comes from King Bio, which has recalled seven of its water-based medications due to possible contamination during the water purification process. The company reports that microbial contaminants such as Burkholderia Multivorans, bacteria that can cause serious damage to consumers with weak immune systems, were detected. Despite FDA warnings about the serious irreversible effects non-approved drugs may have on human health, companies to manufacture and distribute such products. With regards to pills that can kill, a local drugstore customer recently filed a complaint for being given the wrong pills in the wrong bottles. According to reports from the pharma lab, a 100-count bottle contained 100 spironolactone pills instead of hydrochlorothiazide 12.5 mg tablets. The mistake could have been fatal for someone mistakenly taking one medication for the other. Like mixing red wine with white; it’s just something you do not do! Consumers need to cautious about what they buy, what they use, and most importantly, what they consume. If you, a family member, or loved-one has suffered a health matter, personal injury, property damage or loss from the consumption or use of goods that were not safe or proven to be so, the Perazzo Law Firm encourages you to contact us Online or Call (786) LAWS-411 for a FREE initial consultation to discuss a possible Product Liability claim. Taco Bell Salsa Con Queso Dip was removed from atop store shelves and from within storage rooms following reports of the threat of botulism, which is a rare but deadly toxin. Some seven-thousand cases of the popular Kraft Heinz product, in its 15-ounce jar, were recalled as a precautionary measure to prevent potential health hazards to consumers. Botulism is brought on by a toxin that wreaks-havoc on the body’s nervous system and can usually take up to 18 hours to make its presence felt. Symptoms make include blurred vision or speech, weakness, diarrhea, and more. Despite no reports of anyone falling ill, the company wants to make-sure no consumers dip into their tainted Taco Bell Salsa Queso. Under Product Liability Law, product manufactures and Food Companies are compelled by law to guarantee that the goods or foods they produce, distribute, and commercialize pose no health threat to those that either use or consume them. That’s why, recent reports of whey powder contaminated with salmonella, a deadly bacteria that spreads through food, has the FDA and consumers on the alert. Though there are yet no reported cases of consumers getting sick from eating common household foods that contain whey powder, a massive recall of certain popular brands is set to take place immediately given the potential risk of illness or even death from salmonella intake. If you, a family member, or loved one, show signs of bacterial infection through food intake, such as vomiting, diarrhea, fever, or any other food poising symptoms, the Perazzo Law Firm urges you to Contact Us online or Call (786) LAWS – 411 for your FREE initial consultation concerning your rights as a consumer.